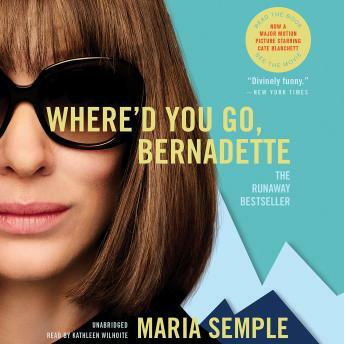 Listen to "Where'd You Go, Bernadette: A Novel" on your iOS and Android device. A misanthropic matriarch leaves her eccentric family in crisis when she mysteriously disappears in this whip-smart and 'divinely funny' novel that inspired the movie starring Cate Blanchett (New York Times). Loved this book! The narrator was fantastic! Good story, great characters, & interesting site locations. Narrator did great job of so many voices! Great book. The narrator was annoying when reading. Loved the narration and thought she captured B's voice and emotion. This book was full of laughs as well as drama.. It was really well constructed. Loved the book! I liked the story in the beginning, then when I thought about what was this all about I really didn't like It. Self indulgence story. The narrator could tune down a bit the dramatization. An absolute delight. I loved the characters; loved sweet B! I can\'t wait for the movie! Book was engaging and well written. The narration was stellar!